A Crest-tailed Mulgara, a small carnivorous marsupial known only from fossilised bone fragments and presumed extinct in NSW for more than century, has been discovered in Sturt National Park north-west of Tibooburra. 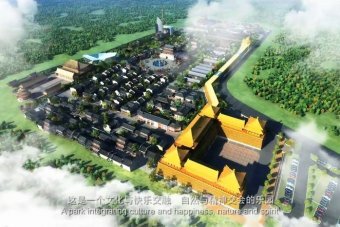 See also: comment Opposed to $500 million Chinese theme park for NSW Central Coast (10/8/14) by the Australia First Party. Western Sydney residents are up in arms about having an urban rail line, a freight rail line and a mega motorway through their communities and bushland. Hundreds will be protesting 6.30 pm Thursday 7 August, 2014, at the St Marys Community Centre, St Marys, NSW, Cnr Mamre Rd & Great Western Hwy., where Transport for NSW and Tanya Davies the local Liberal MP have reluctantly agreed to hold an extraordinary community consultation drop in session. They want to know what we think of their plan so we intend to let them know loud and clear: 'We don't like it'. Please look at what is happening under the Environmental and Protection laws that allow this to occur right now. In the article there is a link to a survey in NSW Upper House about Environmental Protection Authority performance. The Glenbog State Forest, NSW is home to many threatened species of flora and fauna, and logging began in June 2014. It is a state forest and logging was thus expected. However logging is being conducted in a reckless manner with regard to the important faunal presence there. The forest covers an area of about around 11,000 hectares and is located in the southeast of Australia in New South Wales, with the closest townships being Bemoka and Nimmitabel. You can see the extent of environmental damage caused by these careless logging operations, and how native fauna are not being considered and provided the protection they deserve, despite the Environmental Protection Acts in place! Logging is deliberately ignoring the marked burrow systems in areas of high bare-nosed wombat population such as Glenbog State Forest. In this week’s budget Premier Mike Baird slashed funding for the NSW Office of Environment and Heritage by almost 10 per cent. This review is nothing more than a thinly veiled attack on the most important laws protecting native plants and animals in NSW. Conservationists fear that threatened plants and animals are under attack from a review of conservation laws in NSW, due to a review to land clearing laws. Low income households are becoming increasingly marginalised and excluded from opportunities. More than one third of households privately renting who access Anglicare Emergency Relief are in severe rental stress, spending more than 45% of their income in rent. The Federal government intends to fund only 1,000 new homes under the National Rental Affordability Scheme, against the real need of at least 89,000 dwellings in NSW. Really informative video inside, beautifully put together by trevorjbc, containing a variety of knowledgeable speakers in the field, and showing the landscape. Farmers and environmentalists don't want CSG mining, but the government is likely to face a backlash from the minerals sector unless it acts. Critics fear that fracking not only opens up cracks in the coal seam, but could also result in gas escaping into drinking water as it rises to the surface. It would be economically reckless and short-sighted for the supply of CSG to destroy valuable farmland, and compromise underground water supplies. There are fears from some landholders that the ban in Victoria will be lifted. (This article has been adapted from a comment). Environment Minister Burke has shown more courage than previous environmental ministers, surprising environmentalists. Raising orphaned joeys is a job that requires dedication, time, money, compassion and commitment. It means night and day feeds, special formulas, quietness to avoid stress, warmth and special bonding. All this can simply be wiped out by the released animals being "managed" by the NSW government! The sadistic atrocities occurring against our indigenous inhabitants - kangaroos - at Morisset hospital is totally shameful and horrendous. Why haven't these atrocities been stopped and the sadists captured? It is disgraceful that the Morisset kangaroos have been slaughtered for years and the only people to help are a handful of wildlife volunteers. Every state government in Australia is trying to impose unreasonable and undemocratic population growth and development on Australians. On the heels of the Victorian protests, here is another urgent notice from Geoff Brown in New South Wales about the Sydney Growth Centres. One of Candobetter.org 's main reasons for existence is to help Australians stop fighting local environmental brush-fires and start targeting the nationally organised arsonists - the Growth Lobby - where it dwells in political parties, government, business and organisations. Bob Irwin, the late Steve Irwin's father, will be the special guest speaker at "An Afternoon with Australian Icons", an event organised by Gail Browning to raise money to help wild kangaroos. Indeed the event really does sound like quite a remarkable Aussie evening, mixing outback with working class and wildlife carers. Overseas tourists might like to book in order to experience something important and non-commercial, in the cause of our wildlife for whom the Australian government and their friends seem not to give a toss. The event will be at the Revesby Workers Club, 2b Brett St, Revesby, Sydney on Sunday 23 May 2010 from 3-6pm. All proceeds to the Australian Society of Kangaroos. Over five years ago, against the overwhelming wishes and vigorous protests of local residents, Woolworths commenced construction of a supermarket in the heart of the rural Queensland town of Maleny. A dense and active network of platypus burrows was trashed in the process. In 2010, residents of rural New South Wales town of Mullumbimby are determined not to suffer a similar fate. What you can do: (Updated 28 Mar 10) Phone Australia Talks on 1300 22 55 76 on Tue 30 Mar 10 after 6.00PM news to express your opposition to big supermarket chains destroying the lifestyles of small communities (topic is "Impact of Big Box on small communities"), ... and don't shop at Woolworths. Cumberland Plains Woodland has been listed as Critically Endangered Ecological Communities. It is believed that the basis for the Critically Endangered Listing was that CPW had been reduced in area by some 400 hectares. About 400 ha has been lost since CPW was first listed as endangered in 1997/98 and that amount lost has justified the next listing as critically endangered. Yet PM Howard gave Delfin permission to clear practically all the remaining 400 ha at the site in question. The Western Sydney Conservation Alliance is asking Garrett to reverse this terrible decision. Inside: Letter to Peter Garrett. Both the NSW and Australian Government have upgraded Cumberland Plain Woodland from Endangered to Critically Endangered. You would assume any development that proposed to clear over 200 ha of critically endangered bushland would be struggling to get approval. We can assume nothing these days in Australia. Here is another focus where Australians need to unite to help each other get back democracy and protect fauna and flora from the growth lobby. The community has fought to save this area for nearly 20 years.See also related articles. There was an outcry about the illegal and brutal attack on baby koala Doug, and his consequent death, yet loggers will be allowed to destroy the habitat of a colony of koalas in the state forest on the NSW South Coast. They need protection before they are legally wiped out, simply because their homes are for woodchip profits! The Labor Government is once again doing deals with the Shooters Party. Labor has made an offer to allow hunting in 13 national parks in exchange for the support of the two Shooters Party MPs in the NSW Upper House to help pass government legislation. A jam packed meeting with both sides represented. Why so much public money to gun lobbyists and private parties when wildlife carers get nothing? It should be emphatically noted that every member of the NSW govt refused to attend or be on the speakers panel. Greens MP Lee Rhiannon is calling on the NSW government to halt tomorrow's auction of 1,200 mega litres of water from the Artesian Basin in Walgett that was saved through the Commonwealth and landowners' funded Cap and Pipe the Bores Program. A public meeting will be held on Saturday to discuss Premier Nathan Rees' expanding privatisation agenda for NSW. The government's privatisation plans for NSW prisons, ferries, electricity and the sale of other public assets are on the agenda for the meeting. When: 2pm, Sat 18 Apr. Where: Tom Mann Theatre, 136 Chalmers St, Surry Hills. See also: All in the family of 9 Apr 09 on johnquiggin.com, Robertson ends jail privatisation ban of 9 Apr 09 in the SMH, articles about the threatened privatisation of NSW's electricity. Urgent: Penrith Council set to vote tomorrow night to approve 2 new Delfin-lend-lease suburbs totalling 3420 dwellings at the former ADI Site, last big stand of Cumberland grasslands. Residents say public has no idea of what is in process and call on councillors to defer approval pending series of public meetings. Council planners urge councillors to approve plans despite residents' 16 year campaign to save this environmentally crucial sanctuary for wildlife and natural ammenity, not to mention safe CO2 store. Kristina Keneally, NSW Planning Minister, sells out public land and the environment to Delfin Lend Lease. Now many gentle wild creatures will die the most abject deaths and 1000s of trees will give up their carbon to the atmosphere. How much more nature to be destroyed for narrow corporate interests in a dead-in-the-water economy for the grasping few? See also "Council bastardry..."
The Wilderness Society has reported that Brown Mountain (old growth forest in East Gippsland) is being logged right now for woodchips to be exported to Japan - the bulldozers moved in last week. See also: NSW and Victorian Governments accused of having colluded to start controversial logging operations at exactly the same time in "Forest protests limited" in the Bega District News of 28 Oct 08.